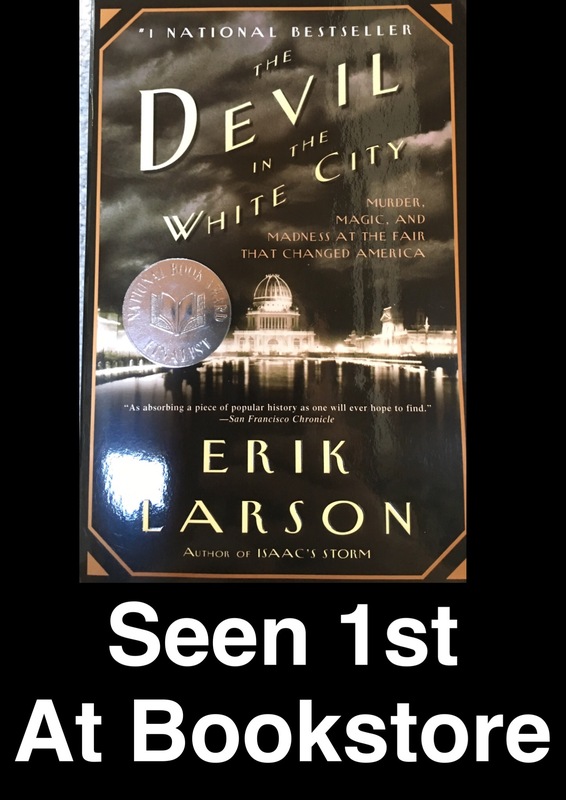 Erik Larson—author of #1 bestseller In the Garden of Beasts—intertwines the true tale of the 1893 World’s Fair and the cunning serial killer who used the fair to lure his victims to their death. Combining meticulous research with nail-biting storytelling, Erik Larson has crafted a narrative with all the wonder of newly discovered history and the thrills of the best fiction. 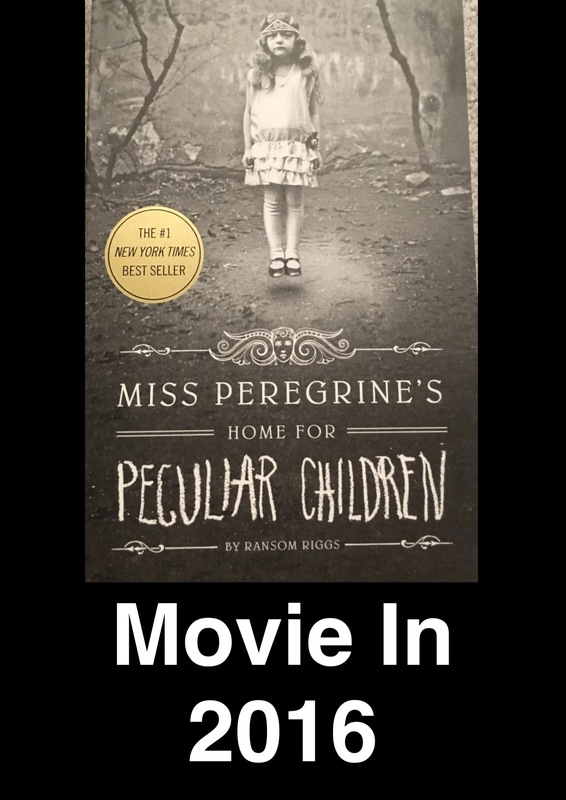 On our Popsugar list we added this as the first book we saw in a books store which was a scary entry on the list because it could have ended terribly. But it didn’t. Neither of us knew anything about the author or the story when we purchased the book. We went in blind. Like a lot of nonfiction, The Devil in the White City follows a particular pattern. It jumps from one part of the story to another, and then back again. If one read a lot of nonfiction, this pattern becomes somewhat standard, but if not, it can appear chaotic. Larson is a good writer telling a good story. A Sweeney Todd-ish story. What fascinated me about this book was the different stories and how they intersected. At first, the reader thinks, Larson can’t make this work, but then he does. We were so impressed with his writing style, that we added other books he’d written to out reading list. Yes. Just yes. It’s nonfiction and uses typically nonfiction writing patterns. So, if you are strictly a fiction reader, you will need to adapt to that. Frankenstein; or, The Modern Prometheus is a novel written by the English author Mary Wollstonecraft Shelley about the young science student Victor Frankenstein, who creates a grotesque but sentient creature in an unorthodox scientific experiment. 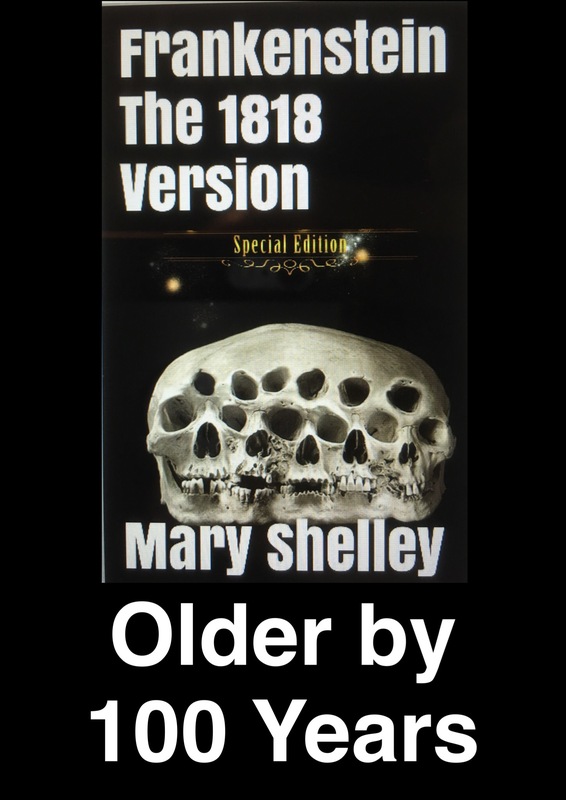 Shelley started writing the story when she was eighteen, and the novel was published when she was twenty. The first edition was published anonymously in London in 1818. Shelley’s name appears on the second edition, published in France in 1823. Shelley had travelled through Europe in 1814, journeying along the river Rhine in Germany with a stop in Gernsheim which is just 17 km (10 mi) away from Frankenstein Castle, where, two centuries before, an alchemist was engaged in experiments. Later, she travelled in the region of Geneva (Switzerland)—where much of the story takes place—and the topic of galvanism and other similar occult ideas were themes of conversation among her companions, particularly her lover and future husband, Percy Shelley. Mary, Percy, Lord Byron, and John Polidori decided to have a competition to see who could write the best horror story. After thinking for days, Shelley dreamt about a scientist who created life and was horrified by what he had made; her dream later evolved into the novel’s story. Frankenstein is infused with elements of the Gothic novel and the Romantic movement, and is also considered to be one of the earliest examples of science fiction. Brian Aldiss has argued that it should be considered the first true science fiction story because, in contrast to previous stories with fantastical elements resembling those of later science fiction, the central character “makes a deliberate decision” and “turns to modern experiments in the laboratory” to achieve fantastic results. It has had a considerable influence in literature and popular culture and spawned a complete genre of horror stories, films, and plays. This book was my call. Nick was ambivalent. But we read it anyway. It’s a book I’ve read before, many times. It’s part of “the long Eighteenth Century” of British Lit. As with television, the Brits excel at literature. They are a people who can tell a story. And Shelley is no exception. Allegedly, the story was written on a dare (a woman couldn’t write a story that would endure the test of time–so much for THAT, Mr. Shelley and Mr. Byron!) Frankenstein is a classic, known the world over. Whilst the aforementioned poets’ renown is limited to the world of poetry nerds and academics… I want a hero: an uncommon want/When every year and month sends forth a new one… Good poets, but not in the same league as Mary Shelley and her Frankenstein. We read the “uncensored” version, which maybe be the version I have always read; because I didn’t not too many differences. I’m not going to lie, I have always loved this story. It can be approached from so many angles. Frankenstein is the doctor and not the monster. The monster is the creation of a jealous and vengeful god–hmm. He, the monster, must cast aside people’s perceptions of who and what he is and find his own definition of self (may sort of, kind of like the story of the author being unable to write anything powerful because she is a woman? Maybe). A gentle and kind being by nature, the monster is shaped by the world around him–by the judgment cast based on his looks (he must be stupid, violent, etc). For me it’s a cautionary tale–don’t become that which the world makes you, to thine own self be true. Walk away from vengeful gods shaped by a stupid and violent culture. Such a lesson to be learned. The villain is the god, not the monster. Yes, I would; though likely not this version. It’s a powerful commentary on culture–it remains relevant… Ask a Syrian refugee! I had never read Frankenstein, we needed a book older than us by 100 years, it fit. I did not particularly care for it. To me the writing seemed disjointed and I found it hard to care about the characters. The parts that focuses on the monster are good, sadly it focuses more on Frankenstein himself. I found his character unlikeable and his actions abysmal. I’m a technology junkie. I’ll admit that as I sit here at my desk with my iPad, Kindle Fire, Tab E, iPhone, iPod, Apple watch, FitBit, Macbook—and these are only the gadgets within my reach at the moment. I like technology. People often ask my advice on such things. Last week, I told Nick I was going to write a post on ereaders—and over the weekend a friend asked me about the value of a Kindle. It’s kismet. I was slow to hop on the ereader train. I adore the sensual nature of books—the feel, the smell. I can think of nothing better than curling up with a pot of tea and a good book, lost in the world the author has created, the whisper of the page as it turns drawing me deeper into an alternative reality. Nothing. But my life isn’t one of leisure and such moments are reserved for wintery days, which forces the cancellation of classes. I could go on, but you get the idea. I have a bad back and it is difficult for me to carry any one of these collections, The Riverside Shakespeare being a particular challenge. And yet, I always have them all with me. I have the OED and the Oxford Bible. In essence, I have a whole library with me at all times—it’s a magical feeling. But one that takes getting used to. And I have. I started with an iPad 1, oh so many years ago. It had all the whistles and bells. I tried iBooks, but was underwhelmed by the interface, the complexity of ordering books, the cost. I downloaded the Kindle app on to my iPad and dove in. No need for an external light source, no heavy thing to carry. Sold. The Kindle app is very adaptable. I can open it on all of the aforementioned devices and pick up on the current page—they sync. So that long line at DMV is rendered irrelevant, I just pull out my phone and read. I confess reading on my phone is not my preferred option. But it is an option. I read almost exclusively in my Kindle app, usually on my iPad Air (the iPad 1 is still here and still works—but—technology junkie). So, let’s start with that, iPad (or multi-use tablet, so iPad, Tab-E, and Kindle Fire). It’s convenient. As I use my iPad for email, grade books, textbooks, calendar, banking, weather, GPS, graphing calculator, and weather services no one questions when I have it open, anywhere without arousing suspicion, I could also use the Fire and Tab-E the same way. The Kindle interface is smooth and flexible. I am able to increase or decrease the font, depending upon how tired I am, or how discreet I need to be. It is an excellent multi-purpose device. The one drawback, and it is fairly significant, is that it reflects in sunlight. It is difficult—nearly impossible—to read from an iPad whilst sitting in the sun. This isn’t particularly irksome to me, because if you find me sitting in the sun, you can assume I have been abducted by aliens and this is some sort of substitute or hypnotized version of me. I am decidedly too Irish to sit in the sun, and I certainly could not sit long enough to read a book without needing medical attention. So, there’s that. But if you read whilst soaking up rays, the iPad is not a good choice for you. But then neither is any sort of tablet, the Samsung, and Kindle Fire have this same drawback. The only viable option for sun worshippers is a Kindle Paperwhite. It does not have a reflective screen. It also doesn’t have the backlight the other devices have (which, for me, is a drawback—I couldn’t read in bed without a light). Another upside to the paperwhite is that the screen doesn’t collect fingerprints. And it doesn’t multitask (again, this does not win it points for me). It is a book reader. That’s what it does; you load books on it and read them. No app necessary. Well, sort of. When reading a library book one has to connect the Paperwhite to a computer to which said book has been downloaded and then transfer it to the device. When using any multi-use tablet, one simply installs OverDrive (the library access app) and reads from within a browser. Books cannot be overdue, as they simply disappear from your device when you pass the due date. But! When you renew, the app remembers where you left off. Good stuff. I always recommend a multi-use tablet to people, get your money’s worth. Read your email and your current book in the same place. Read in bed without disturbing anyone else. And you shouldn’t be sitting in the sun anyway; it’s bad for you! It’ll make your skin age faster and possibly cause cancer. Make good choices. Now, I do still own books—and I have books that I want to have the sensual physical book experience with. Some books just need weight, smell, whispering pages. But for the voracious reader, an ebook reader is a godsend. Get one. Join the twenty-first century. Imagine Picard reading his tablet way before tablets were a thing… Opening Hamlet on it glancing at the replicator and saying, “Earl Grey, hot.” – Perfect choice with a good book, paper or otherwise. Yup, reading ebooks is living in the future!